Sunday, December 5; 2 p.m. 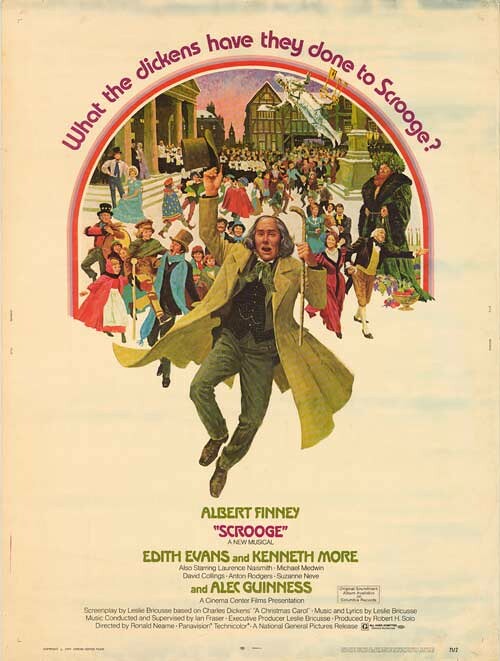 Kick off the holiday season with the Los Angeles Conservancy’s fifth annual holiday film matinee, featuring the joyous musical Scrooge (1970). Albert Finney and Alec Guinness star in this delightful version of A Christmas Carol filled with song, dance, and holiday cheer (not to mention ghosts, Tiny Tim, and Victorian London). See the film in its colorful, big-screen splendor at the historic Million Dollar Theatre (1918), one of L.A.’s most historic movie palaces. 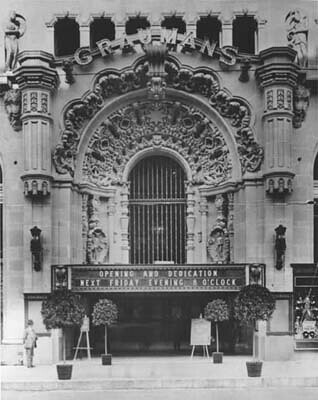 Constructed as Sid Grauman’s first venue in Los Angeles, the Million Dollar was one of the largest and most ornate theatres built at the time specifically to show movies. Make an afternoon of it! Bring your friends and family downtown for an afternoon of holiday shopping and dining. Show your Scrooge ticket for 10 percent off at the iconic Clifton's Brookdale Cafeteria on Broadway, a downtown classic since 1935! For details and tickets, please visit here. Happy Holidays from the Los Angeles Conservancy! What a great suggestion!! The Million Dollar is a fantastic theatre, even the exterior is worth spending a lot of time examining. People can stop off at the market and grab something to eat, too. i just stumbled upon your blog... and what an amazing resource it is! i love that you categorically went through each landmark, complete with pictures to educate the reader. thanks for undertaking the project! Dude, please tell me that youre heading to create more. I notice you havent written another blog for a while (Im just catching up myself). Your blog is just too important to become missed. Youve received so much to say, such knowledge about this subject it would be a shame to see this blog disappear. The internet needs you, man! California Registered Historical Landmark No. 516-2! Good ol' Mentryville.